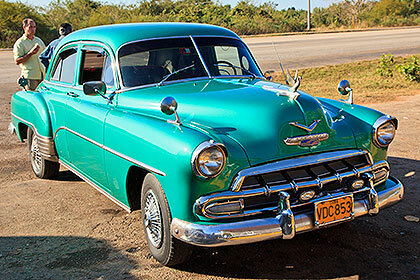 "Nurtured but not loved" is the way a New York Times article put the Cuban people's regard for pre-1960 American automobiles (known as "cacharros"). 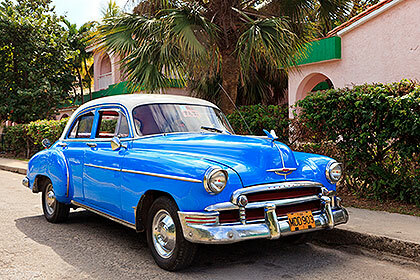 There are an estimated 60,000 of them in Cuba; since the 1959 revolution the embargo has prevented import of any more American cars. 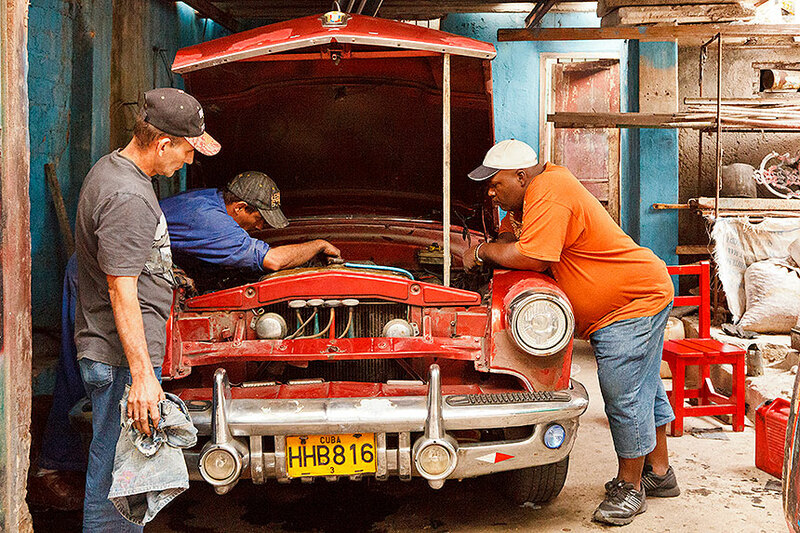 So the resourceful Cubans keep fixing and repainting the old ones, if they are lucky and prosperous enough to own any. 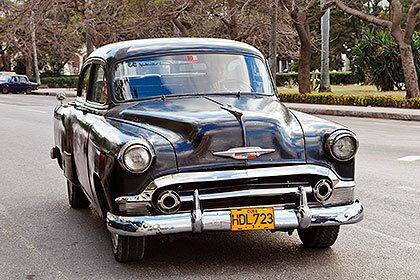 Some newer cars are imported from other countries, but the cost puts them way out of reach for most Cubans. 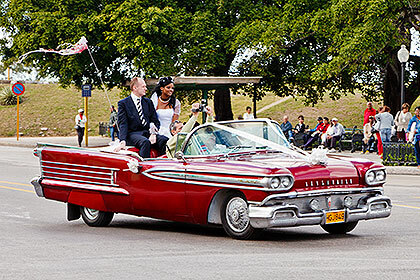 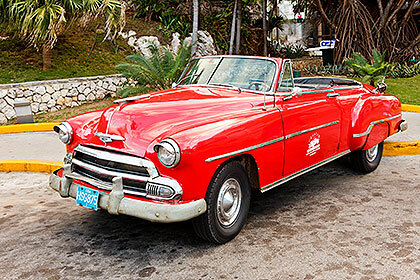 For us as tourists, though, seeing the old American car models is like a step back into the past, and we love to look at them and photograph them. 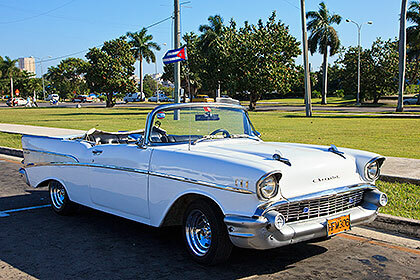 Or even rent and drive them, as many of the best kept ones are owned and rented by an agency of the Cuban government (look for the Grancar logo on the sides of some of the cars below). 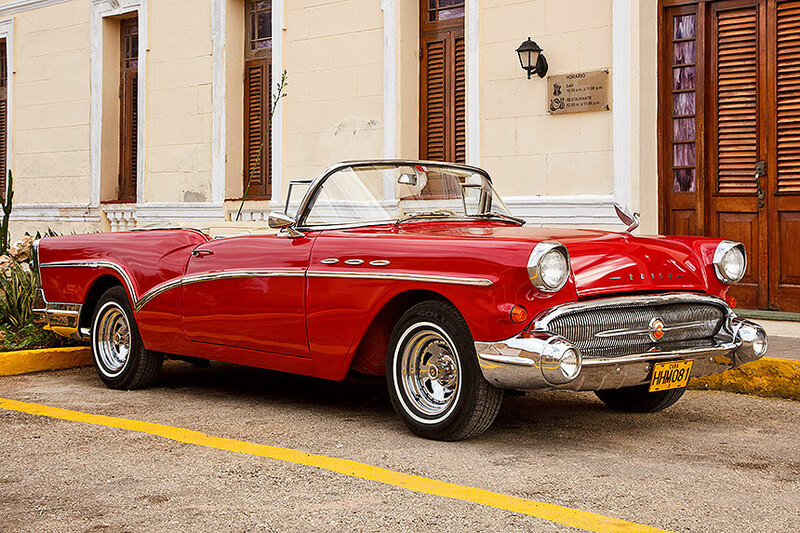 This particular Buick Special (not a rental car) probably belongs to a government official; we encounter it twice at Cojímar -- once at La Vigia and then again in town near La Terraza de Cojímar (the restaurant). 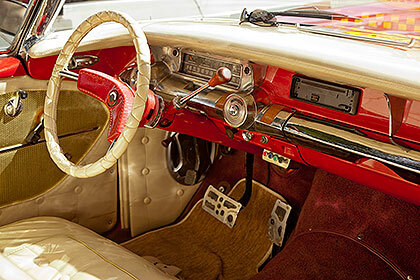 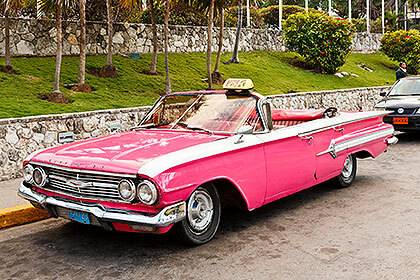 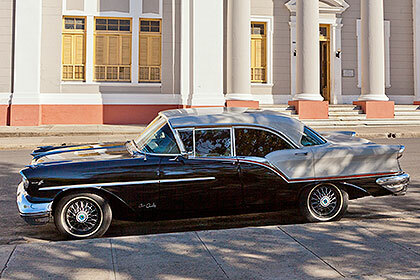 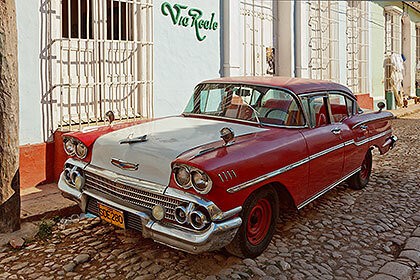 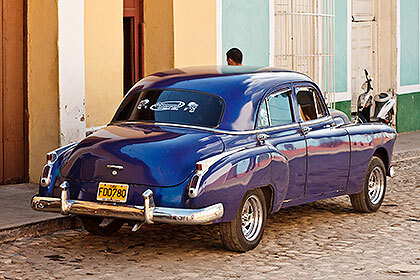 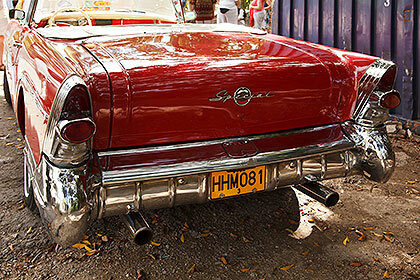 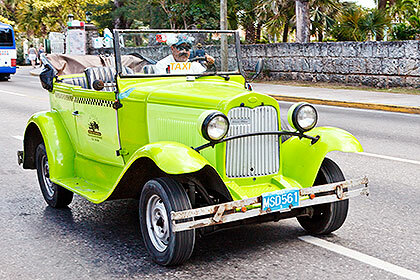 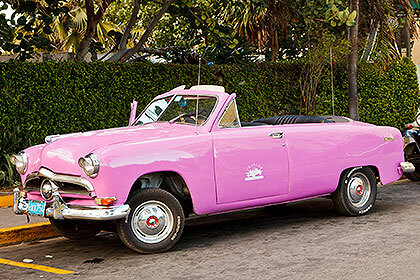 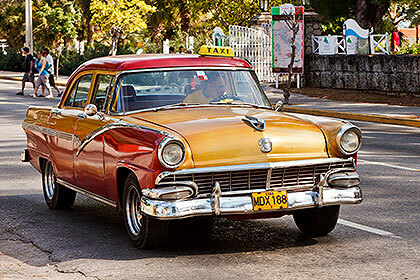 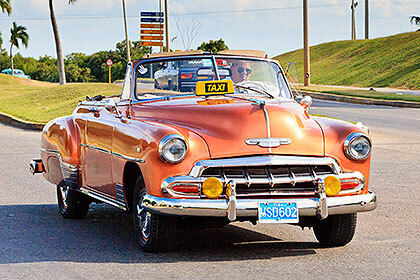 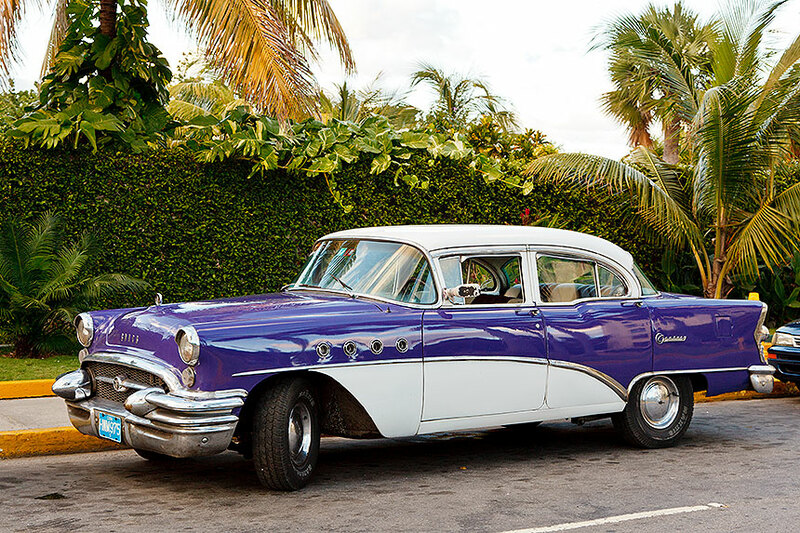 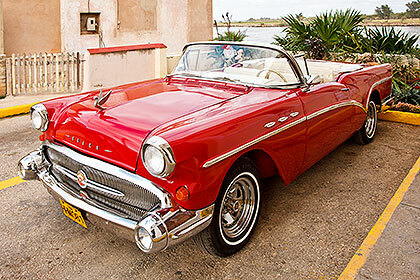 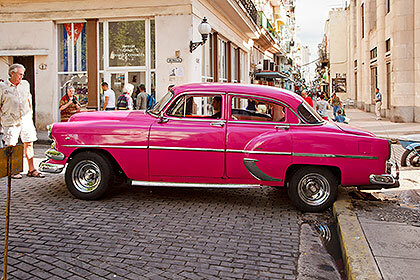 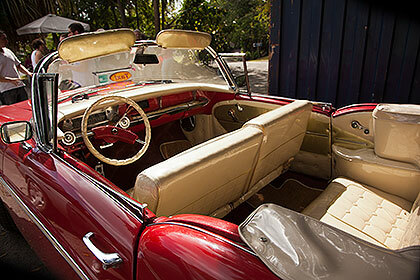 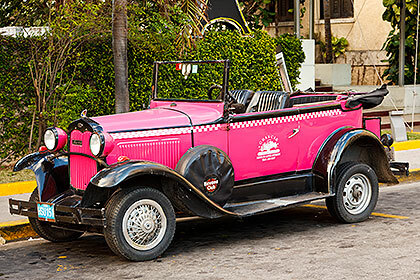 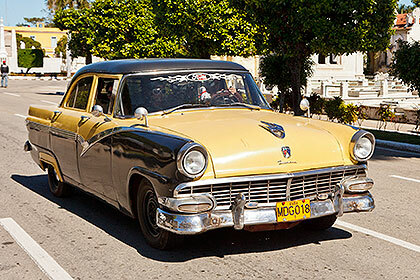 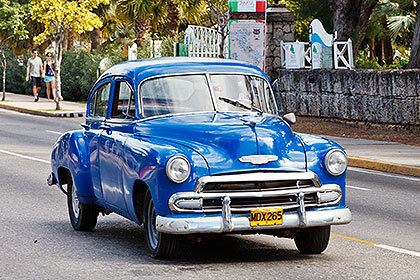 It is as spiffy and well polished as any car we see in our Cuba travels.